Our architect client came up with the original design concept for this solid timber home and we worked together to modify the design to meet the manufacture and build requirements. The resulting home with 3 bedrooms and 2 bathrooms is well-suited to its location in the alpine village of Castle Hill. It would be remiss of us to make no mention of the complicating factors involved in this build. Factors which certainly meant delivery time for this lovely home was longer than anticipated. Even we were surprised by some of the delays caused by the interplay of things like building consent, neighbours, weather and contractors. As the builders in charge, ultimate responsibility resides with us and in this specific case, the best we could do was manage as best we could what was a surprisingly challenging project. And of course, build the very best home we possibly could so that the home could be enjoyed as intended. “We got a finished product that looks great, a turnkey solution that stuck to the budget. It’s great – the finished product is great”. High cathedral windows and a whitewashed finish give this solid timber home an alpine Scandinavian design feel. An ‘H’ shape design, both the family and entertaining areas have unspoilt views toward the stunning mountain range. Resource consent requirements in isolated areas especially can mean delays to build projects, as was the case here. Our client’s architectural background meant he was well versed in the process, and so it came as little surprise to him. We of course did our very best to manage the process, while our client’s familiarity with it all certainly was appreciated. When we asked what advice our client might have for anyone looking to build a new home, he had two offerings: firstly to stay out of the process as much as possible and let the builders in charge manage things. Which can be difficult in practice, when you see your home taking longer to build than you want. But in reality, adding your own voice to a situation with many competing voices in it already from the likes of neighbours and local council can actually have a detrimental effect. Have faith in the process, save yourself the headache and know that your chosen builders are doing everything they can to get you the best outcome. Secondly, he recommended being aware of potential complicating factors when building in an isolated area or on a hill. Ask the tough questions before you sign on, do your own research, and ideally speak with people who’ve completed a build similar to what you’re preparing to engage in yourself. 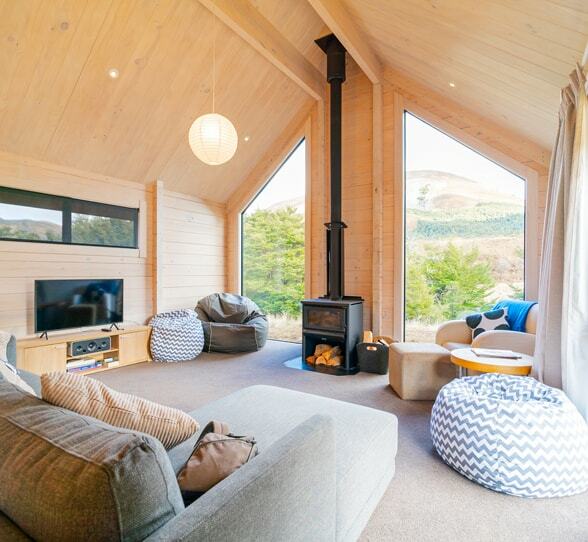 This is a custom designed, 3 bedroom home using materials ideally suited to the rugged conditions inherent in the Canterbury High Country.